Dota 2 commentator Henrik "AdmiralBulldog" Ahnberg was tapped to provide live commentary for The International 7, one of the world's biggest annual esports tournaments. This year, TI7's prize pool climbed to a historic $US23 million ($29 million), the largest in esports history. Unfortunately, Ahnberg won't be at the event after being turned away at the United States border. Ahnberg, a former Dota 2 pro, has attended The International in past years as a player (he's even won), but this would have been his first year serving as a paid commentator. The Seattle-based event is hosted by Valve and organised by PGL. According to Ahnberg, who wrote a post today about his visa situation, Valve and PGL requested that he provide passport and visa documentation ahead of time. Ahnberg wrote that he obtained "a B1/B2 visa. It's for tourism and business, which I didn't think much of I'm kinda there to do business." After sending in his documentation, Ahnberg claims he "heard nothing more from Valve or PGL" and "assumed they reviewed it and thought, 'It's all good.'" Unfortunately, all was not good. After a 10-hour flight from Sweden, US customs asked Ahnberg about his trip, and he told them the truth. In response, they told him that he would have to fly back to Sweden. Ahnberg didn't have the right kind of visa. In his words, "The reason it was denied was because to work in the US you need a work visa. I asked them about people who travel under [the] ESTA waiver program, and they told me that is also not acceptable." Unfortunately, it's too late now for Ahnberg to apply for the right kind of visa in time to attend and commentate at TI7. Ted "Pyrion Flax" Forsyth, who will be serving as an analyst at TI7 this year, made a video that acknowledged Ahnberg's situation in which he said, "Because I'm an experienced Valve attendee, I actually made it through customs. It's a damn shame what happened to Bulldog." Some Dota 2 fans interpreted this as a sign that Ahnberg should have lied at US Customs and said that he was an "attendee" at TI7 rather than someone who was there for work. 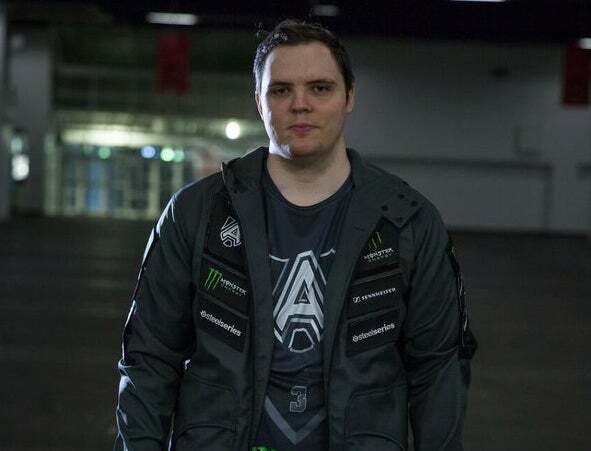 However, Ahnberg tweeted that he wouldn't have felt comfortable doing so: "I could also have lied to the officer saying I'm jus [sic] here to attend TI but something seems wrong with that and it shouldn't be necessary." We reached out to Henrik Ahnberg, as well as to Valve, for further comment on this situation, but had not heard back at time of writing. Ahnberg claims he "heard nothing more from Valve or PGL" and "assumed they reviewed it and thought, 'It's all good.'" Aren't Valve the non- curators of Steam?, The ppl behind such classics like Steam early access? Lol I feel for him having wasted his time but i can't believe ppl think Valve would be on top of everything including providing relevant Visa knowledge to their employees etc. Yeah this is a case of user error. Lying to enter the country is a good way to get deported and refused a visa. Nothing to see here. Yep. Also on Valve as well. The US Visa system is absolutely Byzantine when you're not a tourist on the waiver, they should have been checking at their end if they were paying him as a commentator. if only there was some kind international network of connected devices... like a... a world wide something.